With a variety of engine options available for building your latest hot rod project, the same old off-the-shelf exhaust components may not work or may not even be available for your particular application. They also generally won’t offer the desired custom look or attitude that you’re after for your latest custom creation–which is exactly why Hedman Hedders developed their line of DIY header and exhaust kits. Building your own exhaust headers has been a customizing tradition since the early days of rodding. However, within the last couple of decades or so it has slowly become a bit of a lost art. As an increasingly large number of builders look for unique solutions for their ride that are also budget friendly, building your own headers can not only save you some money and add to your car’s customized appearance but it can also be one more part of the project that you can look back on and say you were able to complete yourself. The high-visibility of the headers make them a focal point on your build, and serves the dual purpose of a functional performance part and automotive jewelry. Hedman offers three different build-your-own kits for your custom project; Lakester, Funny Car Roadster, and Pro-Mod. Each kit has a plethora of different fitment options available based on your specific needs and application. All of these kits are designed for you to fabricate and build on the car to make sure you have the best possible fitment. Every kit includes 3/8-inch flanges and header tubes that are constructed from 16-gauge mild steel. Lakester Header for GM LS Engine with a coated finish. The Lakester style kit is one of the options that can be ordered with or without a turnout. This is the megaphone style header that is most closely associated with the car’s running for top speed at places like Bonneville and El Mirage. The Lakester kit includes a megaphone pipe for each side, optional turnouts, Hedman Headers tag, appropriate flanges for your ordered engine application and of course, mandrel bent primary tubes. A big advantage of the Lakester style system is that you can also tie them into a standard exhaust system that runs under your car. This will in turn, allow you to run “capped” on the street and uncap your system at the track, show or cruise in, which makes street driving for long rides a little more comfortable on the ears. 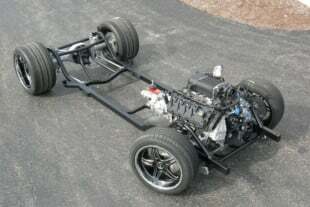 The Funny Car Roadster kit most closely resembles the zoomies that you see on those top fuel or funny car engines. These feature a single primary pipe for each cylinder and the exhaust exits directly at the end of those primaries–no optional mufflers or pipes here. Included in this kit are the appropriate flanges for your application, mandrel bent primary tubes, Hedman Headers tag, and the tie bars to brace and tie together the completed assemblies. This setup will generally feature the up and out appearance or the back swept appearance of funny cars, but can be modified depending on how you decide the final look should be. Keep in mind that with the Funny Car headers these are going to be quite loud both in and out of the car, with the exhaust exiting almost straight out of the engine to atmosphere. The Pro-Mod style header kit is very similar to the Funny Car kit in that this was designed for each cylinder of your engine to have a single primary tube that exits to atmosphere with no additional exhaust system. The difference with Pro-Mod style headers over the funny car style is both in their length and the final exit point of the exhaust as the Pro-Mod style is designed for the exhaust to exit down near the frame or ground. Included in the Pro-Mod kit are the flanges and gaskets for your application, mandrel bent tubes, and the tie bars to hold everything together once your system is completed. While probably not quite as loud as the Funny Car style, the Pro-Mods are still going to alert everyone of your presence at the local cruise night or strip. 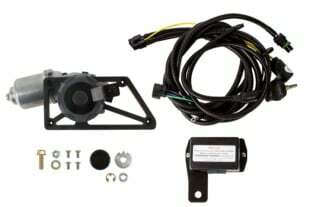 We ordered Hedman Kit: 68950, Lakester style kit for GM LS engines with the collector ring and turnout. Follow along as we build the megaphone, turn out, and first primary tube–and we’ll also go over some tips and tricks for fabricating your own headers using this kit. While this isn’t a 10 on the degree of difficulty chart, you’ll certainly need some basic fabrication tools and skills to do this job right. First up, you’ll need a good welder; either MIG or TIG is fine, and we opted for MIG on this application. You’ll also need cutting tools, most basically an air-powered cut-off wheel or a tubing cutter is nice if you have one, or even a hack saw will work (if you really want to do it the old fashioned way). A chop saw is not mandatory but makes quick work of thicker walled tubing as does a band-saw to cut the primary tubes cleanly. You’ll also need a stepped drill bit or other tool for cutting holes in the megaphone tube. A grinder and a file for notching and cleanup, and a carbide tipped grinding bit can also come in handy. We established a length for our megaphone then attached our first primary tube to the flange. From here we determined where the megaphone and primary tube should meet based on our desired overall length. We used a cut off wheel and chop saw to cut the pipes. We also used a grinder to help smooth the edges. Notice that the LS flange is for a round exhaust port which did not necessitate us doing any custom flange fitting. With the car on the ground and at ride height, determine where you want your header to exit. In the case of Lakester pipes you can use jackstands or even wood or concrete blocks to layout how and where you want to position the megaphone and turnout. Body Clearance: Is there enough clearance from the doors, hood or side panels, as well as the fenders? Suspension Clearance: Can the suspension be cycled through its range of motion with the header not hitting the ground or other parts of the car? Tire Clearance: Can the wheels be turned lock to lock and run through the full range of suspension motion without interfering? Paint Clearance: With any of the Hot Rodz header kits, be realistic about the heat and stay far enough off the body to not discolor, bubble or fog the paint. This is especially true in the case of fiberglass bodied cars. Exhaust Fumes: While we all kid ourselves about loving the smell of racing gas, the truth is, you can’t breathe carbon monoxide during a long haul. Make sure your exhaust exit is appropriately placed so that you still get fresh air and circulation in the car. Exhaust System: If you’re using a Lakester kit and are planning to cap off the megaphone in favor of using an undercar system for driving around, then you’ll also need to determine where that junction will be during your initial planning. Again this will need to be checked for ground, suspension and other component clearance before you begin. Pipe Lengths: In the case of Pro-Mod and Funny Car systems you probably don’t want your car to look like the one from The Munsters. So you should determine early on the height of the pipes so you get that even stack appearance in the final product. After joining the megaphone and first primary tube we ground the end of the megaphone to fit the collector flange. The collector flange was then welded into place and the turndown attached to it. Fortunately most of the Hedman DIY kits come with the proper flange and piping to help avoid drastic fitting measures to the flanges. But not all engines feature a true round port design, and as such we must make the round tubing fit our uniquely designed flanges (in some instances – if this doesn’t apply to your kit you can skip ahead). This step is only done after you have determined the orientation of the tube, and you should have that orientation clearly marked on the top so you alter the shape of the tube in the appropriate areas. If you alter the tube in the wrong spot you may have to cut it or discard part or all of the tube because it may no longer be compatible with your build. Big Block Chevy with Lakester Style Header. *In many instances, Hedman plans ahead for each application and the tubes are delivered already pre-shaped, but these are steps in the off-chance that you have to make your own modifications to fit properly. Clamping the tube in a vice and slowly compressing it can help achieve an oval design. Build a jig: if you have a header that is a D-port, you can build a jig or saddle to hold one side of the header tube (the rounded side) while smacking the other side with a hammer to flatten it. This will maintain the rounded side shape while flattening the opposite side. Tapping a tube on four sides: this will help square up the tube’s design to make it fit a flange. Order a dye: There are several companies that build header dies and will sell them to you online. You can place these dies in a bench vice and literally clamp down each tube to compress it, making it the shape you want. This works great for complex shapes. Like we mentioned, many of the Hedman kits come with pre-shaped pipes to match the appropriate flanges. Regardless of the method you use to fit your pipes, you’ll likely need to do some finishing work to the tube. This is where the hammer and dolly come in and a sandbag is also helpful. With the header tube placed in the flange at the correct orientation you might need to dolly it out to fit the flange properly so there are no leaks after you weld it. This will also improve your header’s flow as it will more uniformly mimic the shape of your cylinder heads. In our case, our kit is for an LS engine with round exhaust ports so we didn’t have to perform any custom fitting of our pipes to the header flange. 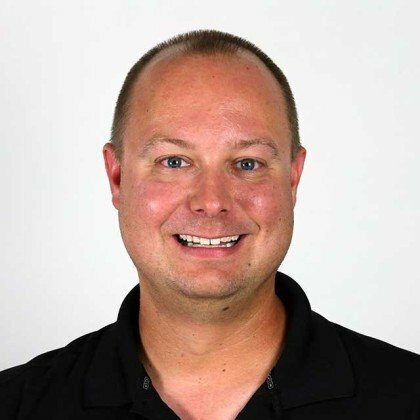 Hedman thinks ahead in most of these cases when possible, even the square flanges for the Ford motors have pre-squared pipes for easy DIY fitment. The best way to build most of these systems is to plan ahead and map the overall layout, but to build one tube at a time. Building will be a bit of a trial and error process as you go, so always err on the side of caution. Essentially, this means when you cut a pipe cut it a little long because you can always take a little more off if you need to, but you’ll never be able to get back what you take if you cut off too much. In the case of our Lakester kit, the first step we took was to cut our megaphone to the length that we wanted it. Next, we attached the header flange to our engine to help determine the length of the tube farthest forward. This tube also turns into the megaphone pipe at the end so it almost appears to becomes part of the megaphone as we get it mocked up and in place. The chop saw, angle grinder, cut-off wheel and file will be your best friends during this project. If you don’t have a bandsaw or a chop saw you can use a cut off wheel to make your cuts. Use a steady and consistent motion as you cut, holding the cut-off tool steady to avoid uneven or jagged edges. Placing the tubing in a vice is the easiest way to cut if using a cut-off tool. After making a cut use a grinder and/or file to help work out any sharp snags or edges. Use your sharpie and tape measure to make your marks, measure twice and then cut. Once you’ve cut and you’ve determined the length is good you can fit the tube to the megaphone. In the case of the first pipe you’ll simply determine the bend it takes to meet the megaphone. Notching is necessary on Lakester style headers to fit the remaining pipes to the megaphone. First, determine where in the megaphone the pipe will fit and trace it with your sharpie. Your pipe should already be the correct length and meet slightly with the megaphone. You’ll also want to note the primary tube’s orientation to the megaphone so you can properly notch it with the correct orientation. We built the last tube on this side next. Since these headers are coming straight out, the turned end was cut off and the primary was cut to the approximate length. We used a marker to trace the areas that needed to be notched as well as trace the megaphone pipe where the hole for the header should be cut. Notice we traced a slightly smaller diameter hole to cut out on the megaphone pipe. Now you can drill the megaphone where it’s marked either by using a stepped bit (if you have one large enough) or by using another suitable cutting tool capable of making a clean cut. Notching each tube also allows for a tight fit to the megaphone and will help prevent exhaust leaks down the road. You can use a tubing notcher if you have one, but since we didn’t have a notcher handy in our home garage, we just used a grinder and made some precision grinds to get a tight fit. Keep in mind while grinding that the side closest to the front of the engine is going to need a slightly smaller notch than the side towards the rear due to the increasing diameter of the megaphone along its length. This is also a trial and error process as you go so again, we can’t stress enough how important it is to only remove a small amount of material each time before attempting a test fit. Using a file is another way to notch the tubing if only a small notch is needed. A file will be slower going than a power tool, but can also also come in handy t0 clean up all of the edges. In an instance where you may literally be shaving the metal down by thousandths of an inch at a time to get that perfect fit a file may be the best way to ensure that absolute perfect fit. Sometimes it’s these little details make the biggest difference with respect to your end product. Small Block Ford Lakester header with turn down. If you’re building the Pro-Mod or Funny Car headers you’ll want to use a straight edge to keep your pipes straight as you go. Checking your work each time before you finish a pipe will also help to ensure a uniform appearance. You can even use your straight edge to help you determine if you want to add a slash cut or stacked appearance to the pipes once they’ve all been mocked up. This can give right attitude to the design and only requires that you choose the angle that the cut should follow, mark it using the straight edge and sharpie, and then cut the tubes accordingly. Also, once your tubes (Pro-Mod and Funny Car) are mocked up you’ll use a straight edge to determine everything is set so you can weld in the tie/support bars. This will give your tubes the support and stability they’ll need as they’re used. Utilizing the straight edge in this step allows you to ensure that each tube is lined up correctly and there is no unnecessary stress that could later result in a damaged pipe, flange, or weld. …if you are newer to welding, practice on scrap tubing and material, before welding live components you want to use on the headers. Welding will be your final step in the fabrication process. Each tube will need to be “prepped” prior to final fitment and tacking. To prep your cut tubes use a file or small grinder to debur both the inside and outside of the tubes. You’ll then want to use a scotchbrite or other abrasive pad to “polish” the metal and remove any oils or films to create the best possible welding surface. You can also use a chemical cleaner to help remove those oils, however you should take extreme caution with any solvent or chemical cleaner. There are some cleaners that can react to the welding process and create toxic gasses. If you are unsure of what combinations to avoid, make sure to read the labels on your cleaning product and compare that with information in an online welders guide or call your welding machine’s manufacturer or welding supply shop to be certain. As you build you will tack weld each piece into place; we recommend that you tack each tube lightly and in at least three places at varying distances around each joint. These tacks should be small so that if they need to be cut for a change to be made, they can be cut and ground off easily. Once we're sure everything fit properly, we welded our two primary tubes to the flanges followed by welding the end pipe to the megaphone. The remaining two primary tubes can be built in a similar fashion though typically everything would be tacked together first prior to final finished welding. It may be necessary to fully weld one or more tubes on the lakester kit prior to tacking the others if clearances are tight. Also a welding torch with a flexible line (vs. a rigid line) will be much easier in the tight areas to perform the finish welding process. You should also consult the manual for your welder for the proper settings to weld this type of steel as every welder has different parameters. The header tubes themselves are going to be much thinner diameter than the flange or the megaphone and this can cause you to get an incomplete weld or burn through a primary tube if you do not setup your welder appropriately for the task at hand. 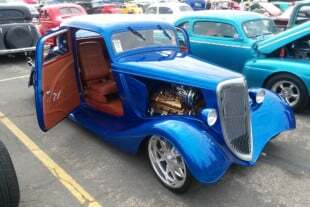 Aside from offering headers for a variety of typical small block and big block engines, Hedman hasn’t forgotten that Flathead’s are still cool. The Lakester kit can be built for Ford Flathead engines. One of the most important steps is test fitting–it’s absolutely vital that you test fit your design each and every step of the way. Every change in length, tack weld, or other variation can change the end result of your project. Prior to finish welding, perform one final test fit on your engine for both sides, don’t just assume because one side fits that the other side will too. Check for clearance against doors and the body, if you made notes about your desired clearances check those against your outcome. Cycle the suspension and steering as discussed earlier. This is the time to make changes prior to finishing the project. If everything fits perfectly and as expected then you’re ready to finish weld the project and think about your coating options. 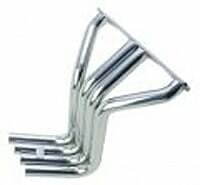 Building your own headers also offers you the ability to custom fit your exhaust components, taking into account routing issues that may not be addressed by a typical out of the box component. There’s also something to be said about standing back and taking a look at your project and being able to point out one more part that you constructed and installed on your own, that’s unique to your car, and that sets it apart from the others at the next cruise night, show or just a trip down the road.